Causes of Acid Reflux: What Causes Acid Reflux? 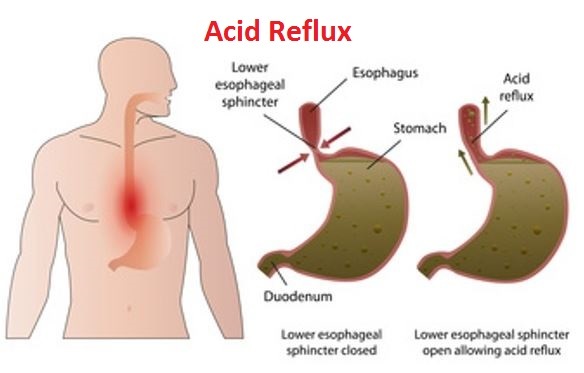 Acid reflux occurs when acidic contents from the stomach leak up into the esophagus, a muscular tube connecting the throat to the stomach. The stomach and esophagus are joined by a muscular band called the Esophageal Sphincter. This is a circular band that allows food and saliva to pass into the stomach while preventing the acidic contents of the stomach from rising back up into the esophagus. The esophageal sphincter is typically in a tightened, closed state. When food travels down the esophagus, the sphincter temporarily releases to allow food and saliva to pass through. Once food has passed into the stomach, the sphincter tightens again to prevent the contents of the stomach from rising back up into the esophagus. Therefore, if the sphincter relaxes abnormally or weakens, the acidic contents of the stomach can enter the esophagus, This causes acid reflux. The stomach is lined with cells that produce acid to help with food digestion. While the contents of the stomach are extremely acidic, the stomach itself is protected by a mucus lining. This mucus lining is also produced by the cells that line the stomach and provides a barrier to protect the stomach itself from its highly acidic environment. The esophagus, however, does not contain a protective lining. For this reason, if the acidic contents of the stomach rise up into the esophagus, symptoms of acid reflux may occur. 1 What Causes Acid Reflux? Eating large meals can put added pressure on the stomach and esophageal sphincter, increasing the chances of experiencing reflux. Avoid over-eating by eating small, frequent meals and snacks throughout the day, every 3-4 hours. It is quite obvious why gravity would affect the stomach’s content. When a person lies down after a meal, gravity is no longer helping to keep the stomach contents from rising up into the esophagus. This increases the likelihood that someone will experience reflux after eating. Try to avoid slouching or lying down for at least 30 minutes after a meal. If you experience nighttime reflux, aim to have your largest meal at least 3 hours prior to bedtime. A hiatal hernia occurs when the top of the stomach moves up into the chest cavity through an opening in the diaphragm. The diaphragm is a muscle that sits at the base of the chest and separates the abdominal cavity from the chest cavity. The diaphragm has an opening to allow the esophagus to extend through the chest cavity to the stomach. When a portion of the stomach moves into this opening, a hiatal hernia occurs. A hiatal hernia can cause the acidic contents of the stomach to back up into the esophagus, causing symptoms of acid reflux. Symptoms of a hiatal hernia include discomfort, burping, belching, nausea, vomiting and regurgitation of acids. The causes of a hiatal hernia are unclear, but may be caused by a weakening of the diaphragm due to age, trauma or injury to the diaphragm, or persistent pressure caused by chronic coughing, heavy lifting, or vomiting. Smoking has been linked to increased acid reflux symptoms for several reasons. First, smoking can relax certain muscles in the body, including the esophageal sphincter needed to prevent reflux. When this muscle relaxes, there is an increased chance that the acidic contents of the stomach will back up into the esophagus and cause reflux. Smokers are also known to produce less saliva than non-smokers. This can increase acid reflux because saliva contains bicarbonate which naturally helps to neutralize the acidity of its environment as it travels from mouth to stomach. People with asthma are at a higher risk of developing chronic acid reflux, or GERD. Though studies have shown a consistent link between asthma and GERD, the exact relationship is unclear. One theory is that asthma can cause the esophageal sphincter to relax, increasing the likelihood of acid reflux. Some asthma medications have also been linked to an increased likelihood of acid reflux. GERD may also worsen asthma symptoms. Chronic reflux can irritate the esophagus and lung tissues over time, making it difficult to breathe. In addition, acidic contents entering the lungs can stimulate the nerves, causing bronchial constriction. Treatment of GERD in patients with asthma is the same as those without. In most cases, GERD symptoms can be managed well with lifestyle changes and over-the-counter medications. Each individual may experience a variety of food triggers of acid reflux. However, the most common food triggers of acid reflux are spicy foods and high-fat meals. If you are struggling to identify your food triggers of acid reflux, try keeping a diary with a list of the food and beverages you have consumed as well as your symptoms. Be sure to seek medical advice if your symptoms are frequent and/or severe.